Wouldn't it be great if all apartment complexes came with an urban farm? 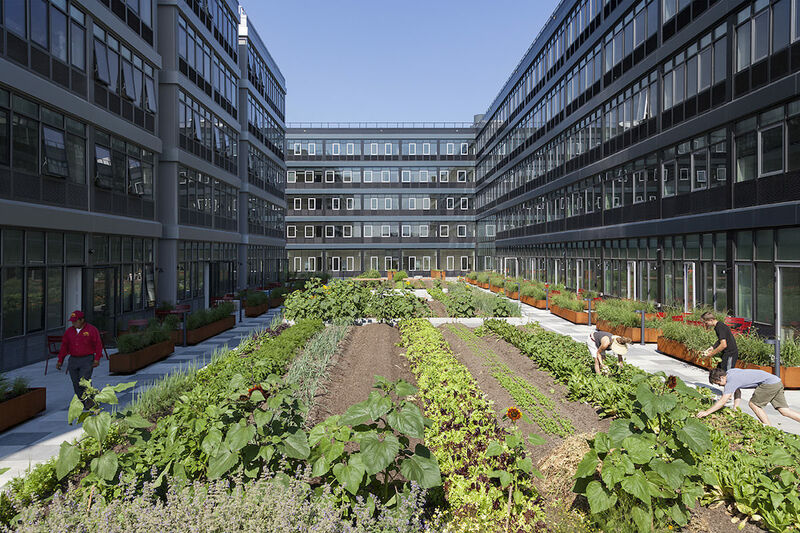 Empress Green, a 4,500-square foot urban farm located at Urby Staten Island, a 900-apartment complex in New York City. The farmer-in-residence is Zaro Bates, and she’s a 26-year-old from Brooklyn who is running the 4,500-square foot commercial farm built above an underground parking garage. Bates, with the help of her husband and business partner, Asher Landes, 29, who manages the complex’s apiary, are in the midst of their first growing season that’s already produced thousands of pounds of vegetables. Between a weekly farm stand, the three restaurants they supply with vegetables, a “veggie pick-up bundle” (sort of like a CSA, but without the subscription or a season-long commitment), and donations to a local food bank, they’re plowing through the more than 50 types of produce, which includes everything from mustard greens to cutting flowers to Asian broccolini. 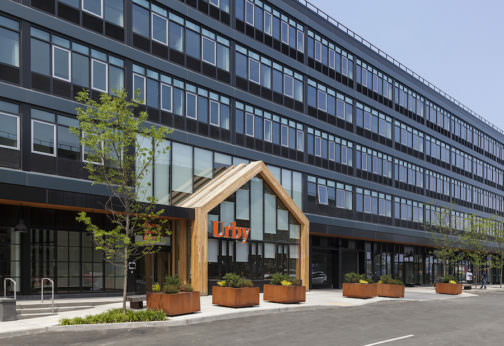 In 2013, Bates began consulting on the Urby project, launched by New Jersey-based Ironstate Development, after making a connection through a family friend. She was later hired as the farmer-in-residence, a job that we reported on back in February, which despite a pretty low salary ($15,000 to $20,000 a year) comes with a free apartment. 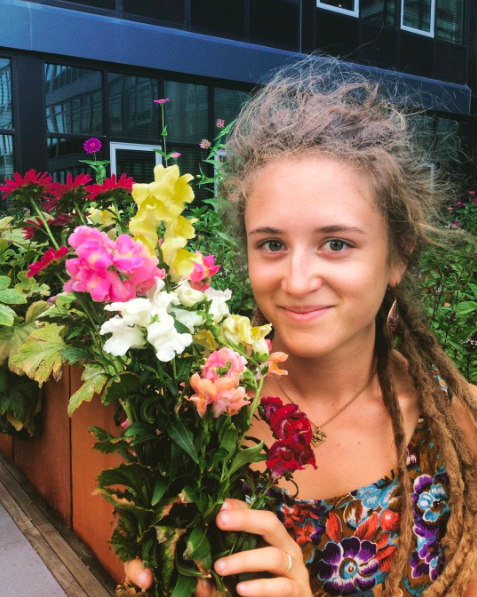 Besides running the farm and their business Empress Green Inc., which includes sustainability consulting services, Bates is also teaching gardening workshops for both residents and the public. Zaro Bates, farmer in residence for Urby Staten Island. Modern Farmer: How did you get into urban farming? Zaro Bates: I went to the College of Agriculture and Life Sciences at Cornell University where I studied development sociology. We looked at all of the implications of our global society moving away from being agricultural based toward development of more urban centers. That was kind of my framework for going into doing more hands-on work in urban agriculture. I apprenticed at the Brooklyn Grange in 2013. When I met Asher, we began exploring small-scale farms, both urban and rural, around the world. During our travels I was consulting with Ironstate Development to get ready for the Urby project. Part of the reason we were traveling was to do the research and build the model we were going to launch on Staten Island. MF: What’s the farm like? ZB: There’s a parking garage in the sub-level that spans the entire footprint of the building, and the courtyard where the farm is located is on top of the parking garage’s cement roof. There’s a green roof on top of that with about two feet of soil and raised beds within that. We’ve been working there since March trying to get the farm up and running. We’ve had farm stands every weekend since May in the lobby of our building. Urby has a communal kitchen for the residents, but on Saturdays we open it up and the public can shop at our farm stand. We always have music, our chef does cooking demos, and people can come and chat and hang out. MF: What has been the most challenging aspect of your job so far? ZB: Since it was the first season we had to build the infrastructure and set up our systems. We really try to practice a lean farm ideal of having everything very organized and having all the systems working in our favor so that we’re efficient. Growing our customer base was an initial problem, but word of mouth and social media have really helped out. At this point it’s about how we can produce more and also grow this into a bigger movement to bring in more local food to this part of Staten Island. MF: Do you see commercial farms as an amenity becoming a trend? ZB: I hope so. It makes complete sense and works in everybody’s favor. It would be great if there could be a focus not just on new buildings but also on older buildings, particularly warehouses that are being converted into condos, because they already have the cement roofs that have the structural capacity required for rooftop farming. With new buildings, I think it’s a no-brainer because it’s such a point of attraction for the people coming to live here,but also for the surrounding neighborhood. It’s one of the greatest things that Urby has to offer to the community around us. We’ve had 20 or 30 people tell us they moved here because of the farm and that is just awesome feedback.